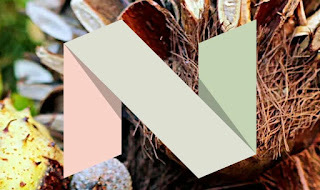 Hi Friends, Android New Version> Android N or Google Android Nougat has launched its latest version 7.0 a few days ago. For the time being Google Android Nougat is not available for all Android but it will be available for everyone in a few days. Right now Google Android Nougat is available for Nexus Smartphone only. If you are using a Nexus smartphone, you can enjoy it by updating it. Android N is great in many ways and from older versions. This operating system, battery, data, etc. is great in many things from the previous version. 1. Android N supports multitasking support. Yes, this is one of the best features of Android N. Now you will not need any expensive smartphones for multitasking, ie, opening two or more apps at once. But now you can do this in any simple Android with its new version of Android N This allows you to provide more than two apps in the same window. Google Keyboard has also been improved in Android N. You will now be able to see the new look of Google Keyboard, which is much better than the ear. Now you can also change the theme in Google Keyboard so that you can use its look differently. You will now find more options in Android N's Quick Settings. This means that now you will be able to work quickly through Quick Settings in your Android. It has been made much better than before. This is one of the best features of Android N. Notifications received in this are now presented differently. You can now reply to Chat from the Notifications panel. There are more changes made in the notifications of Android N, which you will feel after running. DOS is included in Android N, which is capable of increasing battery life. DOS will increase battery life to your mobile. The biggest thing about dosage is that it keeps working even when your mobile screen is off. 7. Phone numbers can be completely blocked. This is also a great feature of Android N. You can show some Emergency Details on the lock screen through this. That is, it will look even when you are locked in the phone. Especially in this, you can show any details that you can get through the details if you lose the mobile. These features will help show some important details on the lock screen at the time of Emergency. Note: You have to keep this set in advance. Google Android Nougat has been changed to Settings. There are some cool features added in this. Such as Night Theme, Data Saver etc. You will also like its new look too. Recent App Button looks for some recently opened apps. This has been made even better in the leaking Google Android Nougat. You will now be able to open the recently opened App from the Recent App Button and use it even more. You can now rotate by pressing the Recent App Button to go to the recently opened App. That is, if you click on the recent App Button two consecutive times, the app that opens in the last of the last will open. Similarly you can open more apps by pressing it more than two times. In this way it is not necessary to say that the new version "Google Android Nougat" is at the top of the Android operating system so far, and it will soon be available for Android phones with its finest features. So friends, tell us how you got this information about Android N.